IFHT was started in 2009 by Matt Dennison and Jason Lucas. Based in Vancouver, BC, IFHT focuses on creating high quality, viral comedy videos. Since the beginning of our YouTube channel we have accumulated over 36 million views and 180,000 subscribers. So you want to be a filmmaker? What’s the first thing you need? You need a great camera. So you save up all your money and you invest in the best piece of hardware you can afford. You shoot a little test footage and it is looking better than anything you have ever shot. Wow, you’re about to blow everyone away! Next thing you know, a far better camera comes out. This new camera can shoot at a higher FPS, has better ISO capabilities and includes a built in coffee maker. Suddenly, your shiny new camera is obsolete and what you once thought was the pinnacle of filmmaking technology has become the equivalent of a typewriter from 1910. You repeat the process until (a) the end of time (b) you sell your camera for good and take up disc golf. Congratulations! You’ve completed the first step to becoming a filmmaker. “How to be a Filmmaker” is the ninth entry in our “How to be” series, and the idea of tackling what it means to be a filmmaker was a no brainer for us. 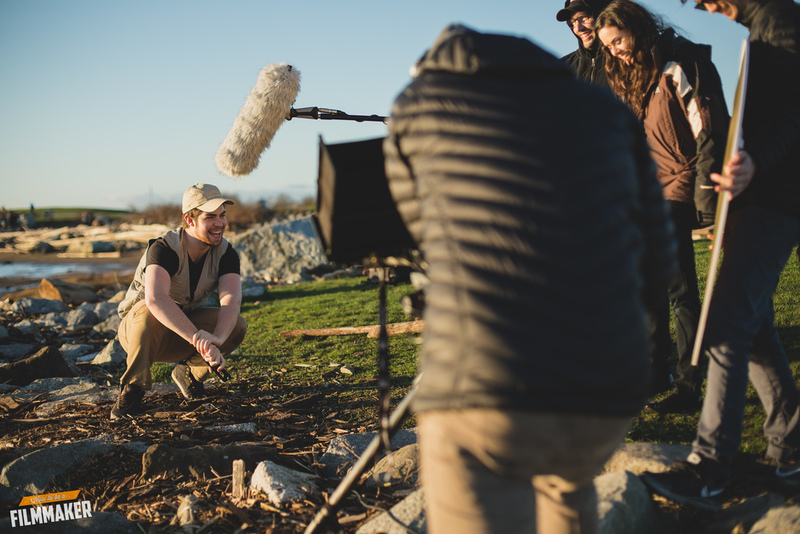 Being filmmakers for the better part of six years now we have noticed a lot of amusing stereotypes and idiosyncrasies amongst filmmakers like ourselves. Whether it be that overwhelming compulsion to post a picture of the RED camera on set, ignoring the guy who brags about his taste in cinema, or that horrible gut feeling you get when you forgot the camera batteries; we have been through it all. As YouTubers we try to put out videos as often as possible between our busy work schedules. In most cases, successful YouTubers gain and maintain their audiences by releasing one or two videos a week and in some cases one or two a day. We have taken our own approach and gone with quality over quantity. This has been our ethos since we started IFHT. As with many filmmakers, we strive to improve on the visual appeal of every video while working with little to no budget. Being as self sufficient as possible, many of our projects have been completed start to finish by just the two of us. However, with our “How to be” series we have been very fortunate to work with small groups of passionate people within the niche communities. This time we invited our fellow filmmaker friends which included: directors, actors, cinematographers, students and other YouTubers. Some of the earlier entries in our “How to be” series were topics that we originally knew little to nothing about and required extensive research. Our “How to be a Skier” video is a great example of this. We love to please our viewers with deep knowledge of these subjects by sprinkling jargon, inside jokes and hidden easter eggs within each video that encourage them to rewind and rewatch. Partnering with Kessler on this video was a great experience. Back when we were aspiring professional filmmakers we would lust over Kessler products for their overall quality and reliability. Many of our shoots outside of YouTube take place outdoors shooting action sports and we need to be able to rely on our gear to stand up to the task. We often put the equipment through its paces (see Step 16) and it comes out through the shoot no worse for wear.